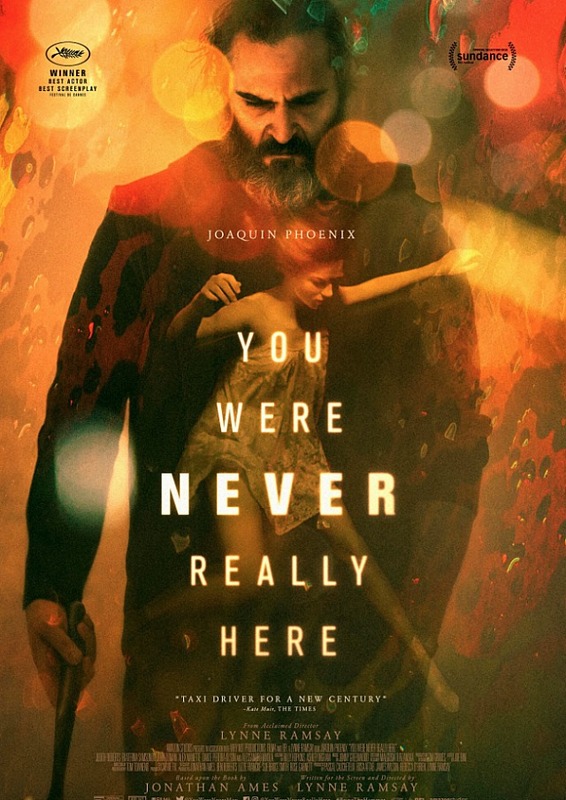 Given the Jane Got A Gun debacle, this is Lynne Ramsay’s first film in six years. And it landed the filmmaker the Best Screenplay and Phoenix the Best Actor awards at Cannes earlier this year. It’s a dreamlike concoction, told very swiftly in a mere 85 minutes, that sees Phoenix riding through his temporal existence in a manner that clearly is meant to evoke DeNiro’s long dark night of the soul in Taxi Driver. Here Joaquin is a bushy bearded gun for hire (although at first we think far worse of him) who seems to specialise in returning wayward runaway children to their families. There are political assassinations involved and the saving of a young girl from a life of prostitution (again, deliberate echoes of Scorsese’s movie) as Phoenix attempts to make it through his marginal life, propped up by a combination of pain pills and asphyxiation tendencies, his world populated by a mixture of memories (some war-based, some not) and hallucinations, that themselves begin to become indistinguishable from memory. Ramsay’s central character is in a fever dream, but her film itself takes a more subdued controlled approach. It is always intriguing, sometimes deliberately bewildering, often uncertain – there are moments where you genuinely will find it hard to determine events. But, like a dream, it lures you in and makes you want to stay there. Especially when Jonny Greenwood’s score get under your skin so effectively.